In recent years, the importance of Forensic Accounting has been growing steadily. A rapidly changing landscape, this field now includes many online components. Making sure that a company’s finances are being kept safe and in order has become a growing concern in today’s business environment. While many companies have always had in-house accountants to monitor and minimize any irregularities or complications that arise over the course of regular business, there are still instances of fraudulent activity. While the numbers may be balancing out in the end, businesses are still finding cleverly masked fraudulent activity when they go through the books. Who are forensic accountants and when and where are they needed? These individuals are typically called upon by insurance companies to investigate suspicions of fraudulent activity or sometimes brought on as a form of preventative measure. Florida National University (FNU) gives those interested in a career as an accountant the perfect chance to get started. FNU offers both associate’s and bachelor’s programs to help get one started in accounting files. 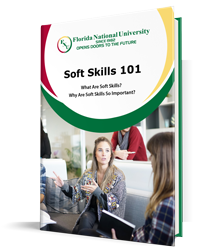 Prospective students stand to gain a wealth of information with this helpful primer FNU has made available. Learn more about the career opportunities that are waiting for you in the world of accounting. Forensic accounting is the use of accounting skills to investigate fraud or embezzlement and to analyze financial information for use in legal proceedings. 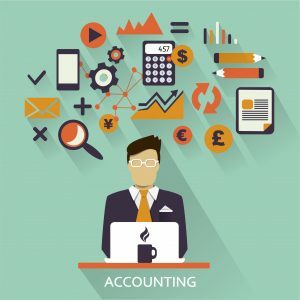 Where traditional accounting deals in the assessment of a business’ funds and properly conveying that information to investors and management, a forensic accountant is called upon to investigate the flow of funds through a business to evaluate the path it takes and determine whether illegal transactions have occurred. A forensic accountant investigates a wide range of different crimes that relate to fraud, such as corporate, health care, mass marketing, hedge fund, and securities fraud. They also investigate other crimes such as contract disagreements, money laundering, and embezzlement. While the duties of a forensic accountant mainly leads them to investigating and analyzing, they are also commonly called on as an expert witness during a trial, due to the combination of experience and knowledge required to enter the field. There are also instances in which the skills forensic accountants employ are used in more personal matters. The dissolution of a marriage, for instance, is an event during which a forensic accountant will review the financial situation of both parties as well as their spending to further the settlement process or to assist attorneys with accurate information to use in court. Forensic attorneys are able to trace assets through the various investments and accounts as well as identify any hidden income or assets. Why has it become so important? The discipline is beginning to see many avenues for additional proficiencies that go beyond accounting and finances. The need for skill sets more accustomed with the legal process and computer technology are highly sought after and play a crucial role in determining the outcome of courtroom events. Forensic accounting is in its current state due to a few factors — one of them being the rise of a new generation of hopeful entrepreneurs and business professionals. Every year, about 500,000 new businesses start up, many of which have partial or major online components. With the newborn reliance on technology, the role of the forensic accountant has expanded into the digital world. Information stored online, regardless of the strength of passwords and other security features, is always at some level of risk and the modern forensic accountant has evolved their skills to include various methods of investigation that apply to the ever-changing digital world. They can be commonly seen sifting through enormous email accounts and other digital services for the hint of fraudulent activity, just as easily as they are found sorting boxes of files, folders, and forms. How Does One Become a Forensic Accountant? The process of becoming a certified forensic accountant is much like the path for a traditional accountant, in that they are required to hold a bachelor’s degree in accounting or a related subject. They must also be a Certified Public Accountant (CPA), which requires passing a national exam and meeting other state requirements. Nearly all states require CPA candidates to complete 150 semester hours of college coursework to be certified, which is 30 hours over the traditional 4-year bachelor’s degree. Additionally, forensic accounting positions require a minimum of one to three years of accounting experience, which can be acquired by working as a general accountant. Often, employers will encourage obtaining the Certified Fraud Examiner (CFE) credentials because of the technical knowledge it provides for carrying out investigations. With CFE credentials, forensic accountants have an advanced understanding of fraud and data analysis procedures that will aid them considerably in the search for criminal activity. FNU: Helping You to Build Your Future! FNU takes pride in giving students the knowledge and skills necessary to take advantage of fresh opportunities like those present in forensic accounting. Staying informed about current developments in the workplace is the key to building a solid career plan that will bring you closer to your dream job. Put your educational aspirations in motion and apply to FNU now! “Forensic_Accounting_Career_Information_and_Education_Requirements.” Study.com. N.p., n.d. Web. 25 Mar. 2015. “Forensic-accounting-one-of-the-fastest-growing-careers.” Http://truthbehindnumbers.com/. N.p., n.d. Web. “Santa Barbara Tax & Accounting – Forensic Accounting.” Bartlett Pringle Wolf Santa Barbara Accounting Tax Audit Services. N.p., 14 May 2013. Web. 26 Mar. 2015.